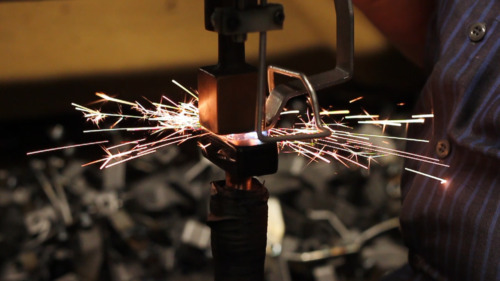 Resistance Welding - Dubuque Stamping & Manufacturing, Inc.
Resistance welding is a thermo-electric process where heat is generated at the interface of the parts to be joined by passing an electrical current through them at a precisely controlled time and pressure. A variety of clamp styles can be produced using progressive dies for higher-volume production. Additional processes such as painting or zinc plating are available to provide a completed part.